unless there is somebody there to see it. 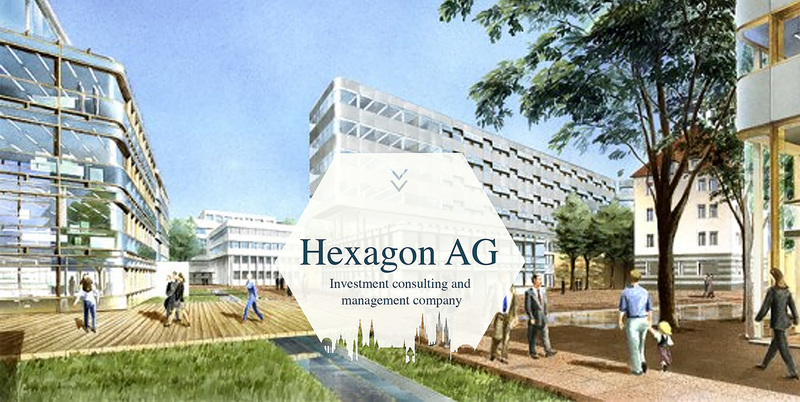 Hexagon AG is a German-based investment consulting and management company. Founded in 2000 by its directors, the focal point of our business is our its professional ability to bring high-level know-how to all stages of the investment programs of our clients. We are not big, but a tightly focused organisation by design. Our size enables us to form close relationships with each client and to fully customize our services to match each client’s individual needs. Hexagon AG stands for the professional expertise of design and engineering experts, asset managers, business administration experts, valuation experts, finance, marketing and facility management experts. Hexagon AG is firmly based on our values and beliefs about programmatic and systematic consulting, development, business modelling, realisation and investment consulting. We aim to be client-oriented; this is our approach to managing our customer relationships. It is our belief that there is no other real estate development and management firm that is as so methodical, well-documented and effective in its actions, or as consistent in its results as Hexagon. 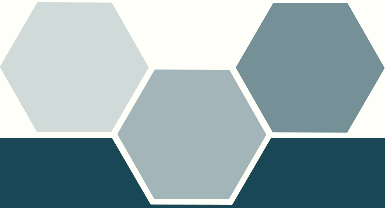 Our organisational paradigm is the Hexagon Method contained fixed in the Hexagon Handbook® which provides consistent interdisciplinary focus to all aspects and phases of a project. Presents a structured and sequenced set of activities, tasks and work products to implement the various dimensions of investment. This is the Hexagon Handbook®. With its methodical framework, the Hexagon Handbook provides a flexible and adaptable structure within which an investment program is planned, developed and implemented. Hexagon Investment consulting comprises a number of specialists who are highly prized because of their experience and knowledge. At Hexagon, we bring together a wide range of skills and expertise, which we have been developed through direct working experience in different companies within the investment consulting and real estate development business. This provides us with the knowledge and understanding of successful investments, the various conditions of business development and management affairs. Hexagon promotes multi-disciplinary tasking and cross-fertilisation across the usual professional borders. Hexagon has broad-ranging business and property investment expertise in valuation, development and asset management as well in commercial management and financing. In today’s competitive global economy, making the most of one’s resources is critical for success. Hexagon helps clients maximize their financial resources by developing and implementing successful investment strategies. Our approach to work is dynamic and disciplined based on Hexagon’s methodical framework. We conduct ongoing research into German-speaking markets to identify poorly managed properties with performing potential. We help to develop investment policy and guidelines, consider prudent optimal property selection for meeting long-term strategic objectives, and determine investment manager guidelines. On an ongoing basis, we evaluate the value and performance of targeted investment programs. We measure value and performance from an absolute and risk-adjusted perspective and compare performance to relevant benchmarks. Hexagon brings extensive expertise in conducting commercial and technical due diligence. The analytical tools and comprehensive evaluations are structured to synthesize the information for decisive decision making. Using the broad knowledge of Hexagon’s staff, we are able to identify and to address the risks related to any particular transaction. We seek to develop takeover frameworks that accurately reflect the basics of the deal, to initiate the necessary takeover organisation and tasks, and to structure the procedures as the key to success. Business modelling is the cornerstone of Hexagon’s holistic approach to investment consulting. We create a detailed financial model which incorporates all assets, all sources of income and all of the performance that could be the result of a restructuring process. We project how specific and modified investment strategies could affect impact a client's overall net worth. As an investment manager, Hexagon assumes the role of an Investment Executive. It is our job to see that the portfolio we develop for our clients accomplishes their objectives. Exhaustive analysis enables our team to objectively recommend new strategies and evaluate a wide variety of alternatives. Our approach is to optimize returns, while seeking to minimize operational costs. Development Program: Hexagon’s Development Program offers as its full range of expertise in the areas of design, technical and commercial expertise to improve the economic parameters of a development site. Hexagon works closely with each client to identify current needs and create innovative solutions to reach individual investment goals. Project Management: We understand the various aspects and difficulties of a project, program the investment and manage the costs from planning until completion in terms of market and customer estimations. Establishing Productive Management Facilities: All property business is local. These markets are ultimately driven by certain fundamental factors, including local quality, market momentum and commercial performance. In handling these factors, Hexagon’s active management creates value in assets. Asset Management: Hexagon manages first-class commercial assets and portfolios for its clients. As experts in developing, managing and repositioning portfolios, the staff at Hexagon have helped investors develop new strategies to maximize the value of their assets and to reinforce their competitive position. Hexagon is able to resolve complex real estate challenges, provide outstanding advice and manage real-estate risks. Lease and Sales Management: Hexagon employees have a proven track record in successful negotiations of leases and sales. As part of Hexagon’s program, we develop marketing and advertising materials. The firm is also closely involved in all aspects of the leasing and sales processes, from structuring and negotiating leases, sales and brokerage agreements, to coordinating closing transactions.